Winner of the 2014 Professional Photographer Hot One Award for Best Product in the Color Management System Category. Set white balance, meter for exposure and dust map your sensor with the only calibrated and certified 18% transmission incident light metering filter. 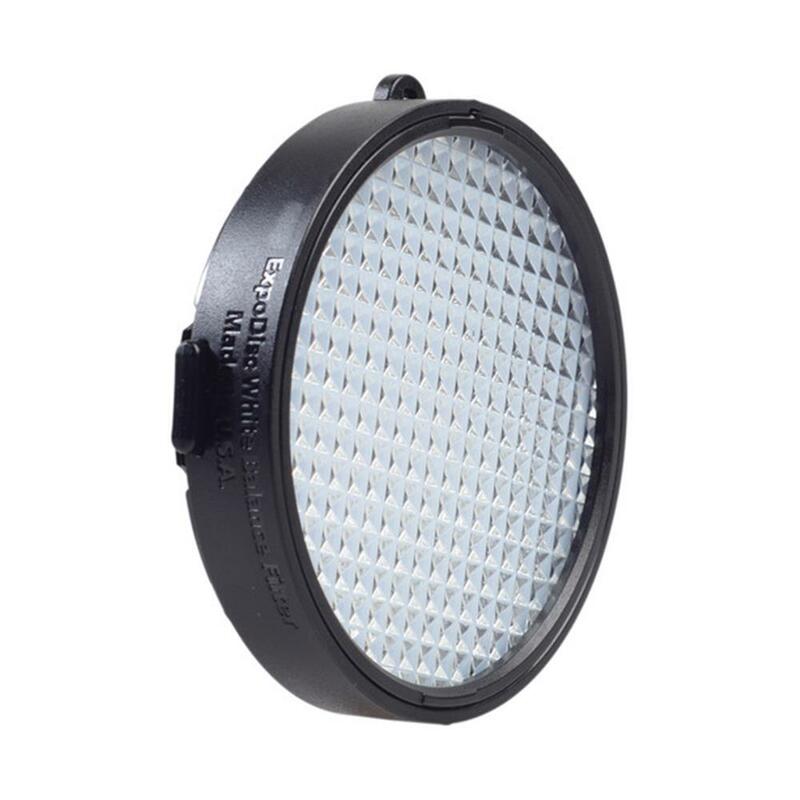 As with the original ExpoDisc, a larger ExpoDisc can be used with smaller filter size lenses by simply holding the ExpoDisc over the lens during the white balance procedure. The ExpoDisc is tested by hand on a transmission spectrophotometer and individually adjusted using custom formulated materials to ensure an 18% total light transmission across the visible spectrum. This neutrality is important because using a non-neutral tool for white balance can actually add undesirable color casts to images. Each ExpoDisc 2.0 includes a quality control card to certify its neutrality.